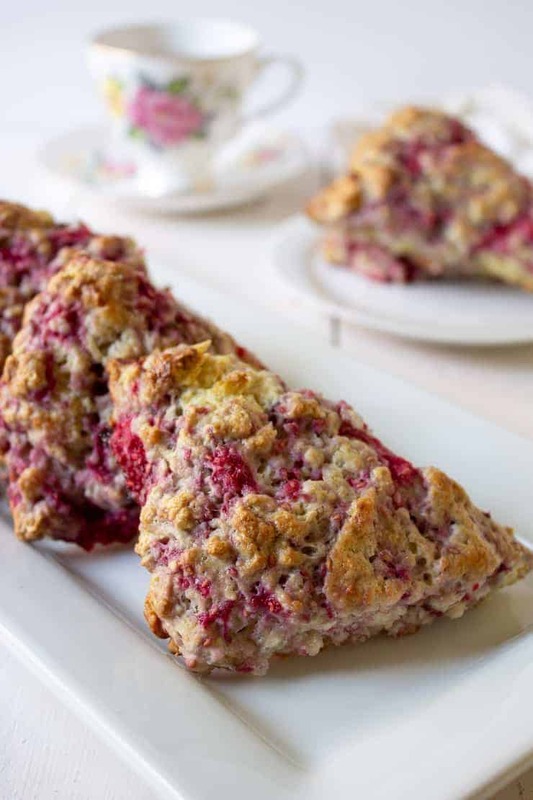 Raspberry Scones made with fresh or frozen raspberries! Nothing says summer like raspberries! Okay, it’s not summer yet, but I can dream! During the summer my raspberries produce an abundance of fruit. I pick daily and freeze gallons of raspberries. Throughout the rest of the year, I get a little taste of summer! 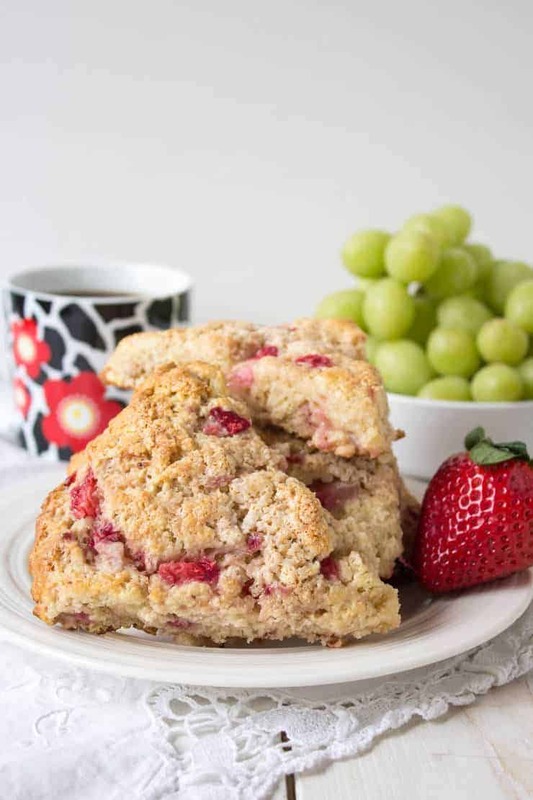 I often use frozen berries for making these raspberry scones. 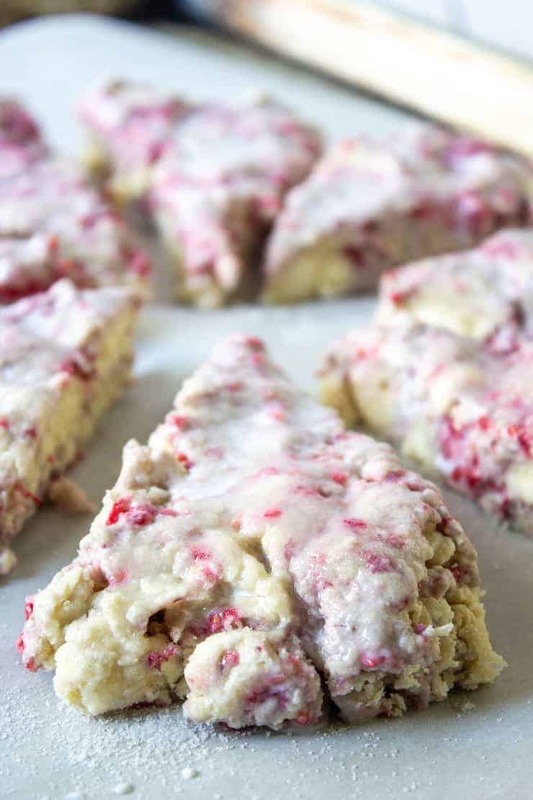 You can use fresh or frozen raspberries in these scones. 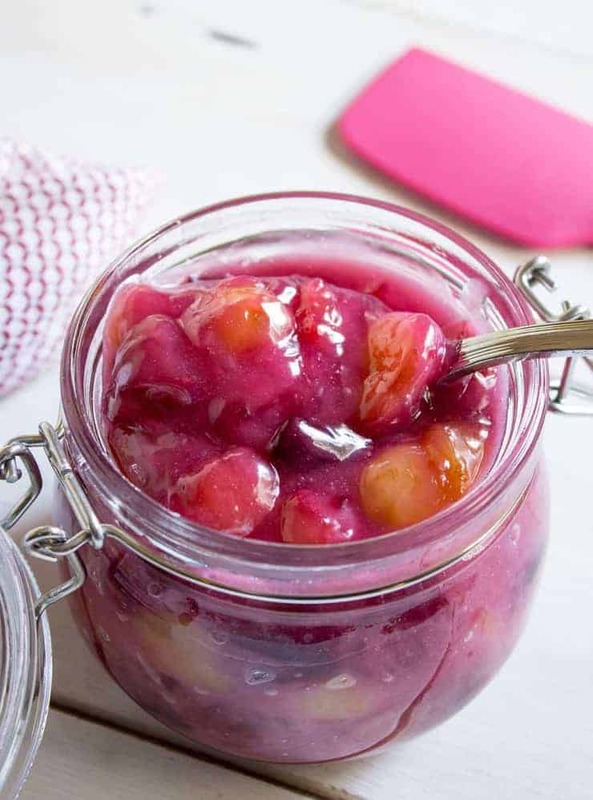 To use frozen berries, add the berries while they are still frozen – do not thaw first. You may need to increase cooking time by 3-5 minutes. How long do I cook scones? I cook scones in a 425 degree oven for 25-30 minutes. When making scones, try to handle the dough as little as possible. Just mix until it all comes together. 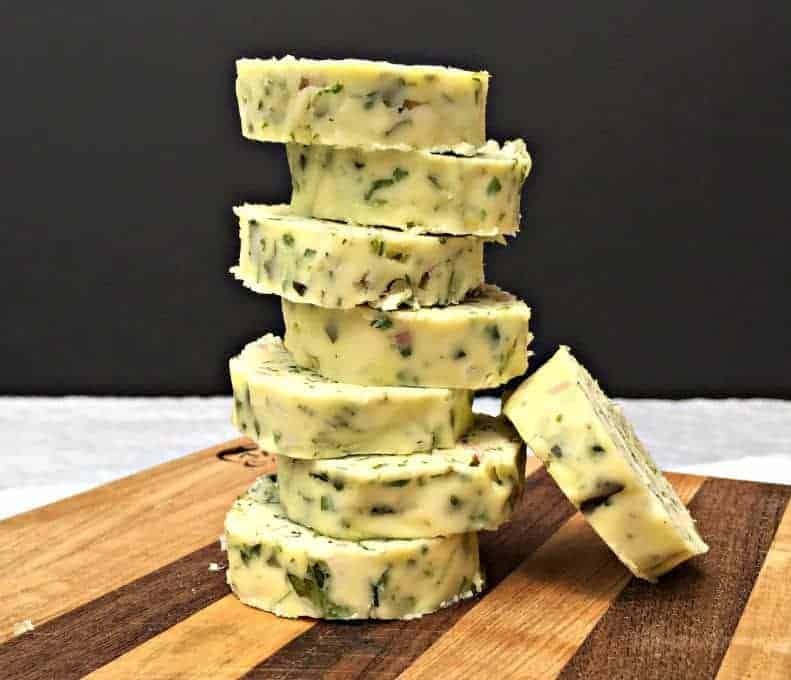 You do want to keep the butter cold and this can be a challenge. Sometimes I put my cookie sheets with the prepared dough into the freezer for about 10 minutes just before baking. This helps chill the butter and dough. Cold butter helps keep the scones nice and flaky. Place the cookie sheet straight into the oven from the freezer. These are awesome fresh out of the oven, but I find if I can wait an hour before I eat them, the scones are absolutely perfect. Of course, I can’t wait an hour before trying the first one. 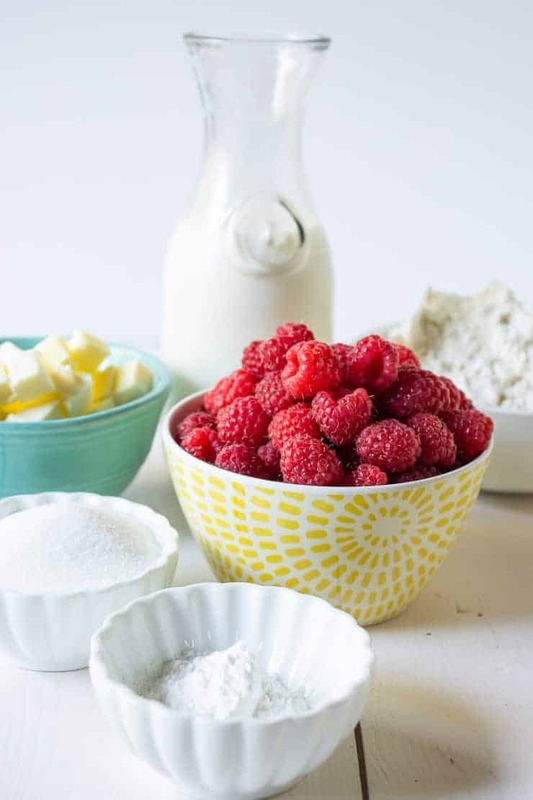 A few other recipes using raspberries include this Raspberry Coffee Cake, Raspberry Sweet Rolls, Raspberry Delight and these Raspberry Muffins. 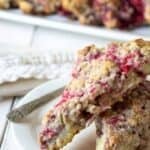 Scones made with fresh or frozen raspberries. In large bowl mix flour, sugar, and baking powder. Add butter and mix in with a pastry blender or your fingers. Mix until large crumbs exist. Add half and half. Mix very lightly, just until in comes together. Use your hands to knead just once or twice to further incorporate the ingredients together. Pat out into a 8 inch round on a lightly floured surface. 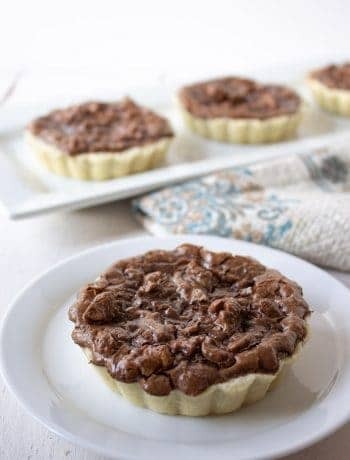 Slice into 8 pie shaped wedges and place each wedge on a cookie sheet covered with parchment paper. Separate wedges slightly. Place cookie sheet in freezer for 10 minutes prior to baking. Let cool on baking rack. 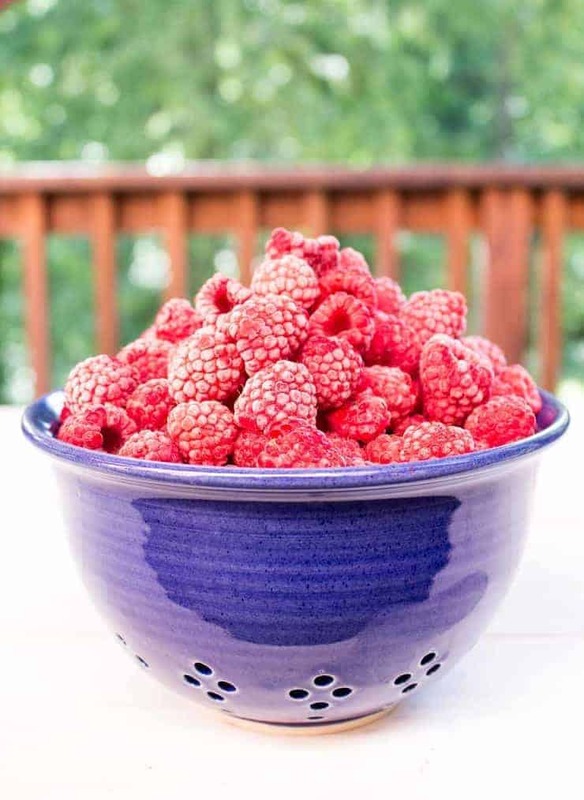 Fresh or frozen raspberries may be used. A great idea for breakfast. 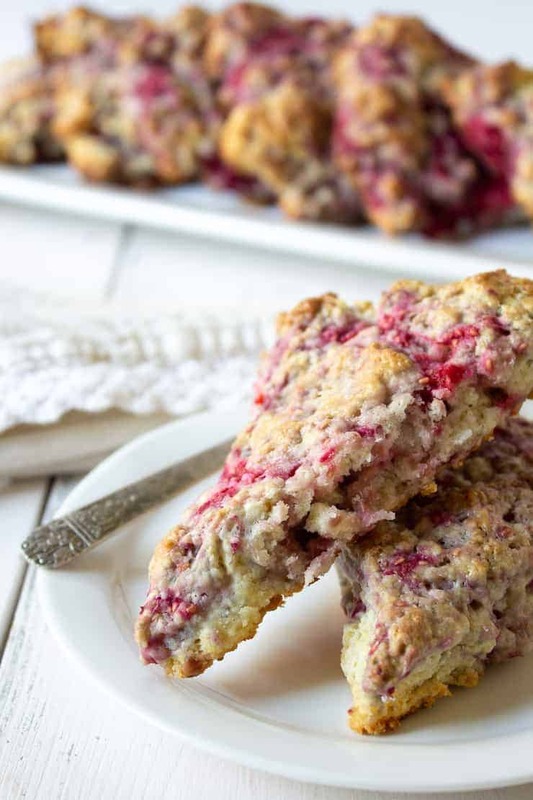 Love that you made raspberry scones from your frozen batch of berries! They look delicious! Thanks, Kelly! They were delicious! These look absolutely delicious. You know, I used to order things from Swiss Colony when I was a city girl. I would’ve ordered these from you back then. Thank you so much for the recipe. I have a question. 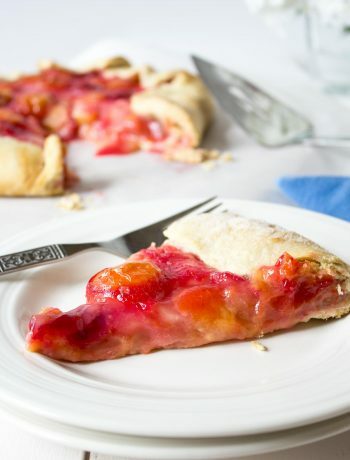 Why do you brush cream over your pastry? What does it do? Is it just to stick the sugar to the top? Thank you again for the recipe. I don’t have raspberries in the freezer, but I am going to substitute them with my wild blackberries from last year picking. Good question! I’ve never done it without, but the cream helps develop the golden color as well as allowing the sugar to stick to the top. 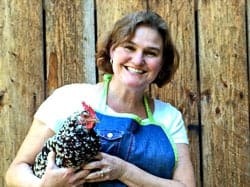 My mom always uses this technique when she makes pies too. 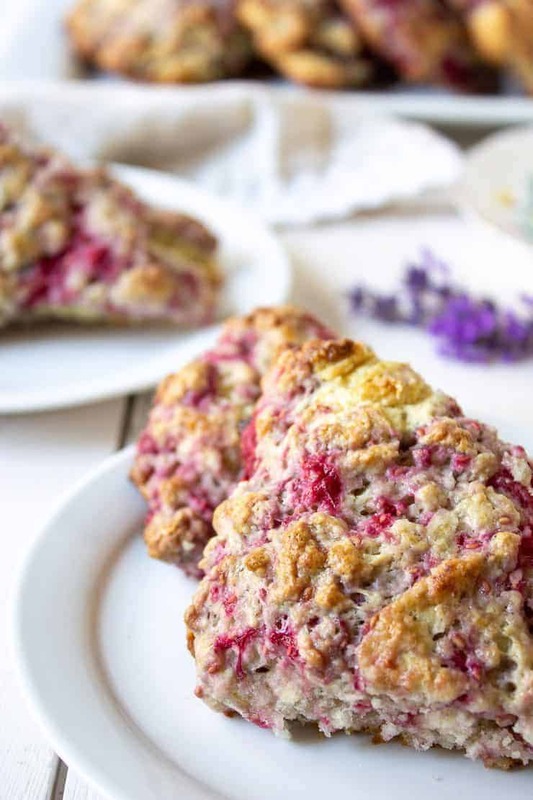 I think blackberries would be fabulous in these scones! I wish I had some in my freezer. I’ve never made homemade scones. I will definitely be trying my hand at it very soon especially during berry picking season. You need to give them a try! These look delicious! How blessed you are to have so many raspberries to freeze and enjoy all year. We have wild black berries on our property…I usually get enough for a couple cobblers. I recently purchased some black raspberry bushes (my favorite). Hoping to get them planted soon. I’ve never tried a black raspberry! I am wondering if you have a link to your black raspberry purchase or a recommendation of the name of the berry. We have been enjoying our wild blackberries as well. Right now, we are ordering some cultivated varieties of berries. After planting a few shrubs, we are ordering some more. I like raspberries, but I never tried black raspberries. Are they better than red? Are there any different?